Coburn Technologies Introduces New Lens Generator to the Cobalt Product Line, Cobalt NX | Coburn Technologies, Inc.
SOUTH WINDSOR, CT – Coburn Technologies, a leader in providing innovative, end-to-end customer solutions to the world’s ophthalmic lens processing industries, introduces their latest lens generator to the current Cobalt product line – Cobalt NX. Enhanced Lens Quality: The quality of the lenses produced with the Cobalt NX is far superior to that of previous generators. Cobalt NX is designed for processing all indexes of lenses (1.498 to 1.74). 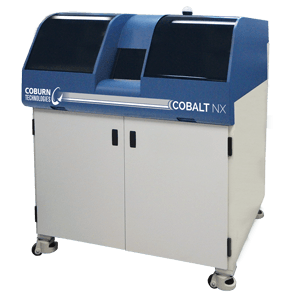 Auto-Calibration: Manual calibration is still available for those customers wanting to control this process, but for those who want an automated machine, the Cobalt NX introduces automatic calibration for more efficient and faster processing. On Board Engraving: Cobalt NX now brings engraving on to the machine, with capabilities to produce simple shapes and alphanumeric using the secondary axis. Now the need to purchase additional equipment is eliminated. Interrupted Cut: Interrupted cut brings a new feature to Coburn’s lens generators, which will be available on both the x- and v-axis. This eliminates the need for a granulator. Cold Mist/Dry Cut: With on-board cold mist/dry cut, the need for expensive waste management is removed. “Cobalt NX brings next level lens generating techniques to our product line. We are also excited to say that this new generator is validated on several branded and non-branded freeform lens designs,” adds Wendell Slone, Director of Coburn’s Lab Works Group. 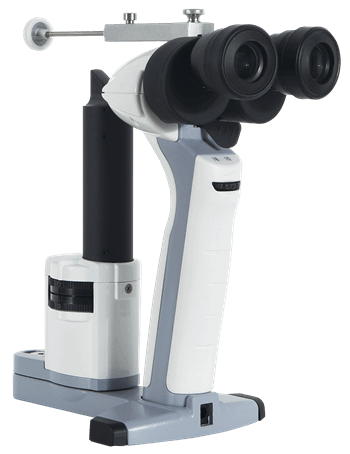 The Cobalt NX will be showcased at this year’s Vision Expo East in New York City at booth LP4353. For more information, please visit Coburn online at www. CoburnTechnologies.com, or call 1-800-COBURN-1 for pricing and additional details.